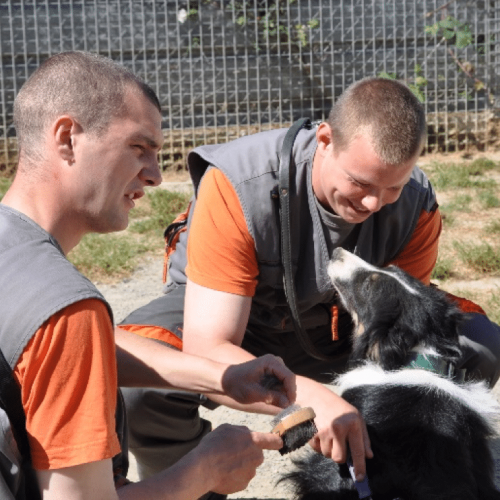 Human-animal interaction (HAI) and animal-assisted interventions (AAI) benefit not only the people taking part, but also the professionals running the programs. In situations where physical, mental, or social difficulties present an obstacle to communication, HAI helps people communicate with others. Walking, petting, and taking care of an animal are effective ways to strengthen motor and occupational skills. Illnesses, handicaps, and incarceration often engender relational and social difficulties. Animals accept people as they are, without judgement, and thus help them regain confidence in themselves and others.